This announcement was originally published on the Surge Institute website. Congratulations to our very own Osayuware (Tina) Enagbare for being selected! 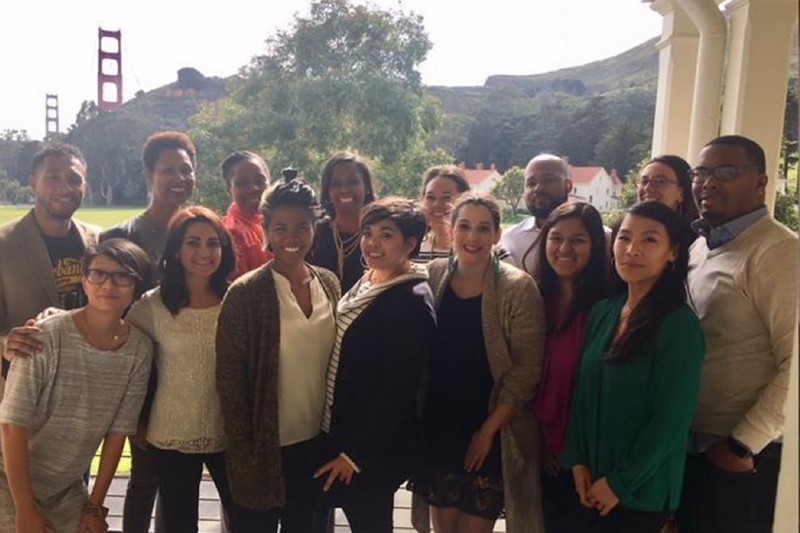 The Surge Institute officially begins serving Bay Area communities with the debut of its inaugural Oakland Surge Fellowship cohort, accepting a diverse collective of 11 equity-minded emerging African American, Latinx and Asian/Pacific Islander education leaders. 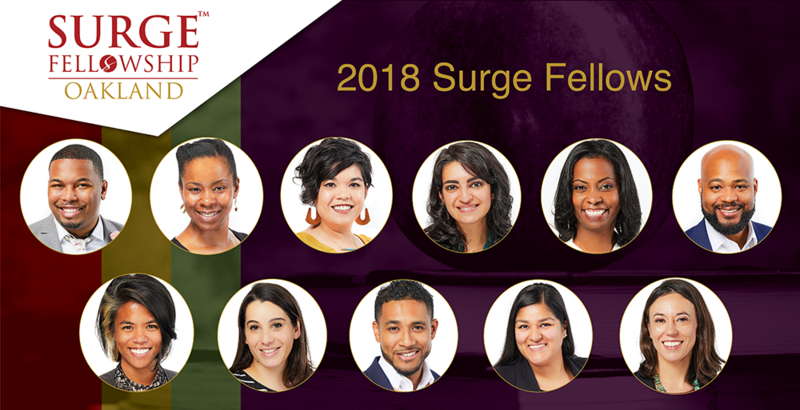 Surge selected this cohort from an impressive pool of applicants and are ultimately bringing together fellows from across the Bay Area education landscape, including the Oakland and San Francisco school districts as well as several other educational institutions, government, and non-profit youth-serving organizations. Over the course of the Fellowship, Surge Fellows receive extensive executive skill training, leadership development and exposure to respected leaders and policymakers in education. The cohort will also develop their own leadership and advocacy skills. As a culminating final step of the program, Fellows will complete individual capstone projects to advance the work of a new or existing Oakland education initiative. The inaugural Oakland fellows united for our opening retreat in February. The Surge Fellowship began in Chicago in 2015, with the goal of expanding diversity in the education leadership pipeline. Since its launch, Surge has graduated 47 Chicago Fellows, many of whom have since risen to even greater leadership roles in schools, government agencies, and youth-serving organizations. The Chicago Fellowship currently empowers its largest and most diverse cohort of 24 fellows.